Everyday millions of products go in and out of warehouses across the country. Although it's not glamorous, manufacturing and the industrial warehouse industry has become the backbone of our everyday lives and just like ourselves they too have become dependent on wifi to make it all possible. Unfortunately there's just a "few" challenges you have to deal with. First off, everything and everyone are constantly moving around, from stocks and forklifts to people and hand-held devices, the warehouse environment is dynamic and never the same. This makes deploying a ubiquitous, high-speed warehouse wifi network almost impossible. When productivity and operational costs are at the core of your business, Wi-Fi has to be part of the solution and not part of the problem. To get the most out of your warehouse wifi network the best place to is start from the beginning. Here are some of the most essential warehouse wifi basics you need to choose the right equipment for the job and create a successful wireless network. To get the most value out of your warehouse wifi network you have to plan according to what you have. In other words you have to be specific, what works for someone else might not work for you. Consider what stocks you have in your warehouse and what materials you are moving. This is what’s called “The Stock Effect,” where different materials will have different affects on the wifi signal. For example, what might work well in a warehouse full of mattresses may not work when your dealing with electronic components. This is one of the hardest things to overcome because the simple truth is that there are more things in your warehouse that are killing your wifi signal than things that are helping. Also think of the area you’re covering, the size and structure of your warehouse will dictate what equipment your network design needs. A typical warehouse has a lot of moving parts which in-turn keeps changing the Wi-Fi signal propagation. All these are design issues and will need proper planning for equipment type, antenna placement, channel assignments and access point distribution. To make it easier for you to decide on the right equipment for your wireless network, you need to have a proper site survey done. This will give you the best outcome and will help you save a lot of frustration and resources in the long run. Both testing and analysis, including a site survey are the most essential components in the design process of your warehouse wifi network. This is where you combine the knowledge you have of your environment with other factors such as building materials, building layout, number of users, number of devices, types of devices and types of applications to produce a highly accurate wireless network design that will support your exact needs. 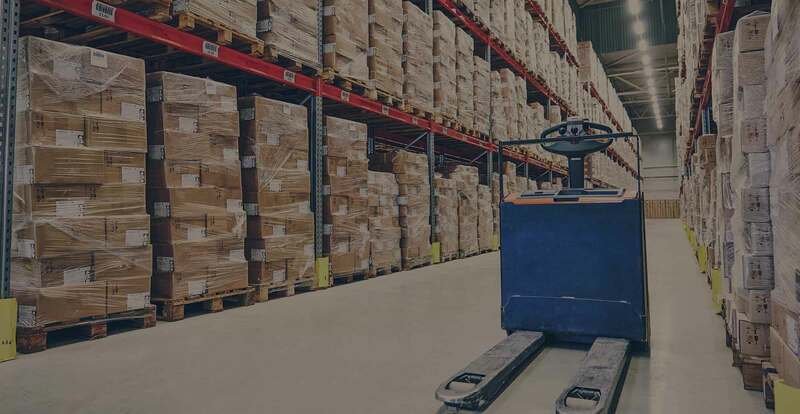 With so much open space and such a large area to cover, your warehouse wireless network must have the right type of antenna installed to ensure maximum performance. There are several options to choose from. Directional antennas are made to focus RF in a specific direction. This allows for improved performance and reduced interference. Omni-directional antennas - designed for 360 degrees of coverage. It radiates equally well in all directions. Each antenna is made for a specific purpose. If you’re looking to place an antenna on a ceiling that is a good 30 feet up, using an Omni-directional antenna will provide better coverage for your upper shelves but not to your people on the floor. In this case, a directional antenna would be a better choice as it is focused like a cone of coverage towards the floor instead of a balloon floating in the air. Your warehouse wireless network needs the most compatible equipment and optimized design for it to properly support your goals and provide you with the performance you expect. At SecurEdge, we provide a Wi-Fi as a Service platform that makes networking more affordable and easier to implement.. If you have any questions or would like to discuss an upcoming project, please contact us here.